To get into the unit, potential operators (who can come from any branch of service) must undergo a rigorous five week long Selection course before earning the right to attend a six month basic skills course before moving on to their specific assignment. The ARW runs mission inside Ireland under the “Specialist Aid to the Civil Power” provision of Irish law as well as deployments everywhere regular Irish do on Peacekeeping operations and GWOT. Irish Rangers have deployed to a number of places in support of UN Peacekeeping missions, including Liberia, Chad, Mogadishu/Somalia, East Timor, Bosnia, Iraq and possibly Lebanon. 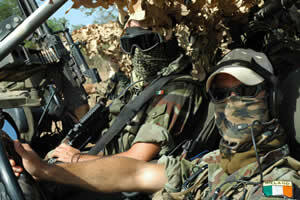 They were at least alerted and put on standby to assist in the evacuation of civilians from Libya as well. ARW equipment and training is largely what you’d expect it to be, and just as strenuous as you would expect of such a unit. All Rangers are Airborne qualified, many also HALO and HAHO, with maritime, diving , small boat handling and underwater demolition skills as well. 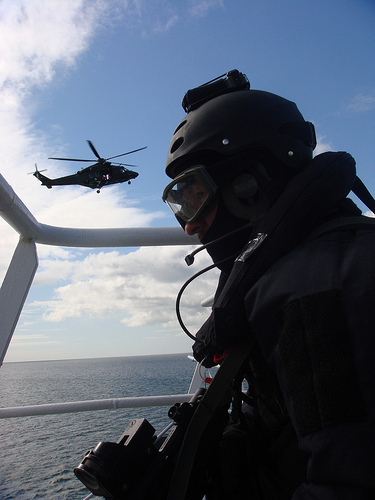 Ireland’s geography dictates much of the most likely threat spectrum, so substantial amount of their training and preparation revolves on and below the water. 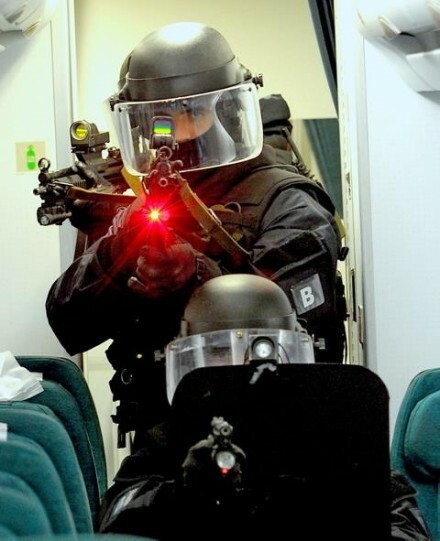 Weaponry is also what you might expect: MP5s, Sig P226s, etc. but instead of M4 variants they largely carry Steyr AUG A3s, with and without grenade launchers, the Accuracy International L96 Arctic Warfare Series sniper rifle, H&K 33/SG1s and for big jobs the Accuracy International AW50. There is an official ARW website and the Irish Defense Forces have a Twitter feed as well if you want to check those out. This entry was posted on Saturday, March 17th, 2012 at 10:00	and is filed under Military. You can follow any responses to this entry through the RSS 2.0 feed. Both comments and pings are currently closed. Agreed, there isn’t a direct translation, but “Fair Young Warrior” wouldn’t be far off.